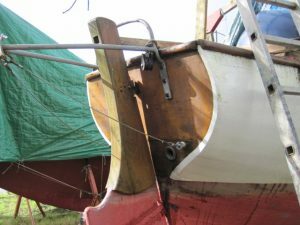 Sail: Bermudian Ketch Rig sets 650 sq. ft. The Salmo Salar 40 Motor-Sailer designed by Laurent Giles in 1966 became an instant success as a serious blue-water cruiser. 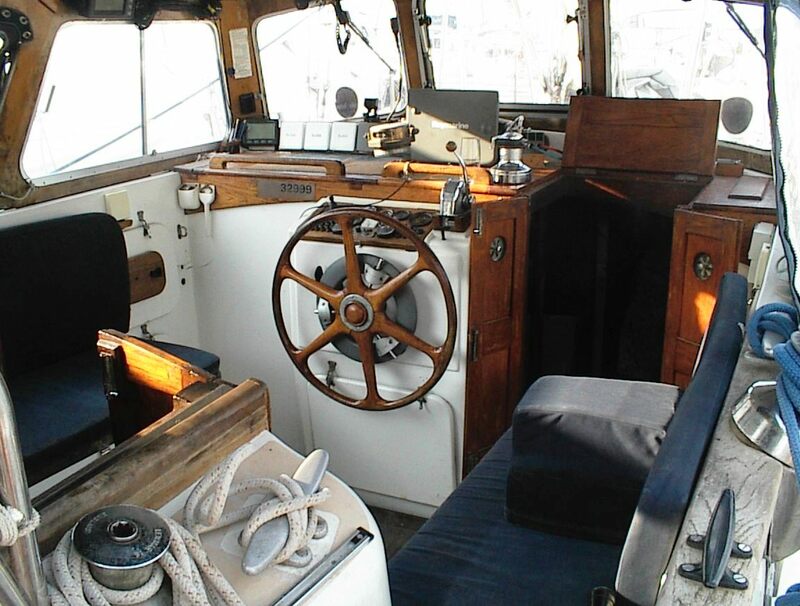 A good many examples have cruised extensively with several completing circumnavigations. 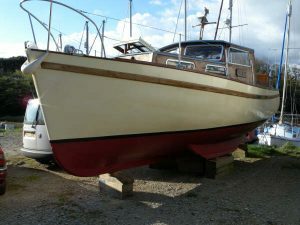 Forty-Five examples were built by Essex Boatbuilders Ltd. (UK) although examples have been built in many countries including Australia. 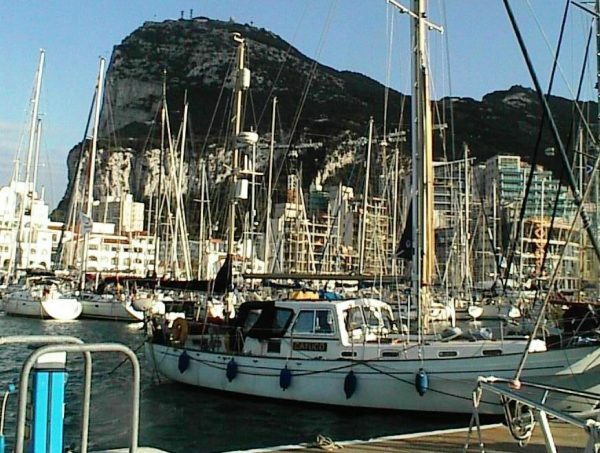 The current owners are just completing a circumnavigation in Cayuco as described in their cruising account ‘A Leap Of Faith’ published by New Generation Publishing and available on Amazon and at Kelvin Hughes Bookshop, Southampton. This portrays the voyage round the world including the incident with pirates in the Gulf of Aden off the coast of Somalia. 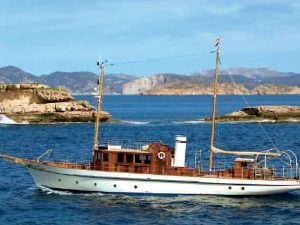 Cayuco is of moulded GRP construction with a heavy lay-up with encapsulated 8000 lbs ballast keel. Moulded deck and superstructure with teak trim. Underwater epoxy hull treatment 2014. 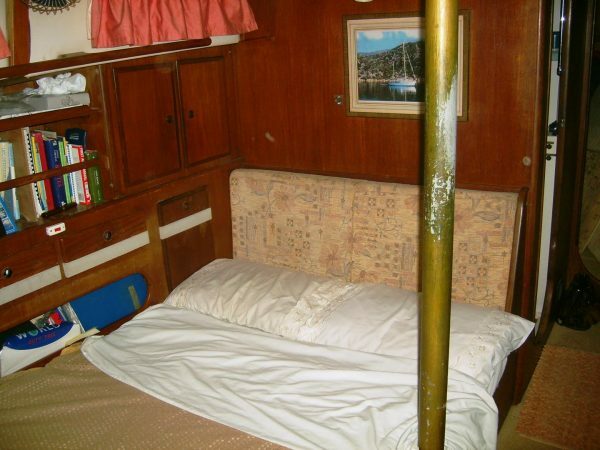 Spacious well planned accommodation, as you would expect from Laurent Giles, features an owners aft statroom with ensuite. Kuoni heating. Teak joinery, new upholstery 2007. Fore Cabin: Two single berths, or double berth. Heads Compartment: Shower, Vanitory unit with pressurised H & C, pump-out WC. Saloon: Dinette style double berth to port, starboard settee. Cabin table. Galley: Two burner cooker with oven and grill. 12 volt fridge. Keel-cooled fan freezer, microwave, sink, pantry and crockery lockers. Fire extinguishers. 400 litres fresh water in two tanks. Aft Stateroom: Double berth, lockers and ensuite shower with wc and wash basin. Aluminium deck stepped 53ft main mast and 38ft mizzen mast. 16ft main boom and 10ft mizzen boom. New stainless steel rigging 2009. 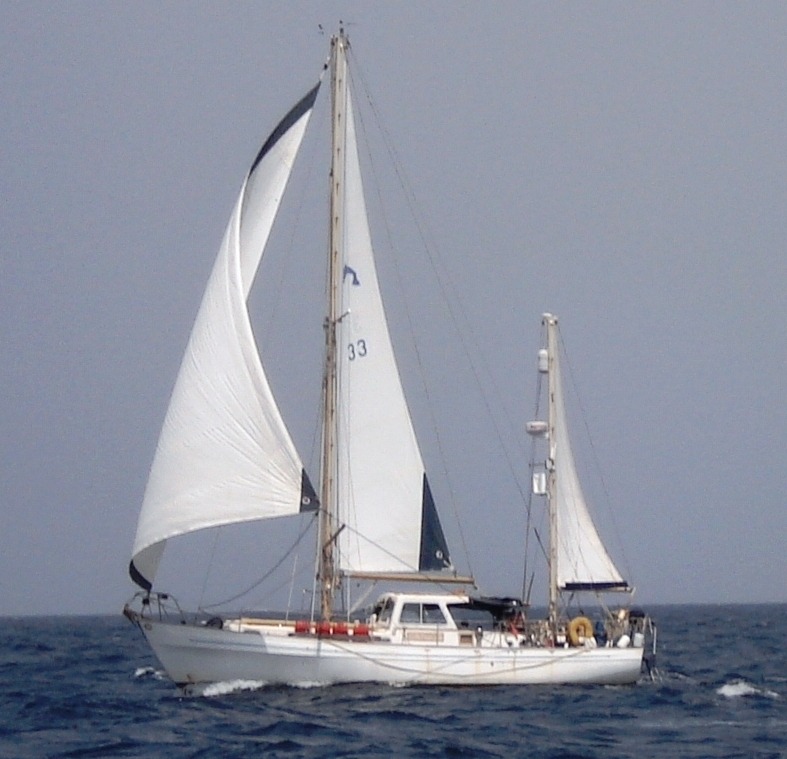 Six Sanderson dacron sails include furling jib, in-mast reefing main, slab and lazy bag mizzen, spinnaker. Approx 650 sq. ft. plain sail. 75hp Perkins 4326 four cylinder diesel engine, installed new in 2014. Vetus 75 bow thruster. Bilge fans, 400 litres fuel capacity in two tanks. Four new batteries (2014) 12 volt system and 240 volt shore power. New Aska petrol generator 2014. 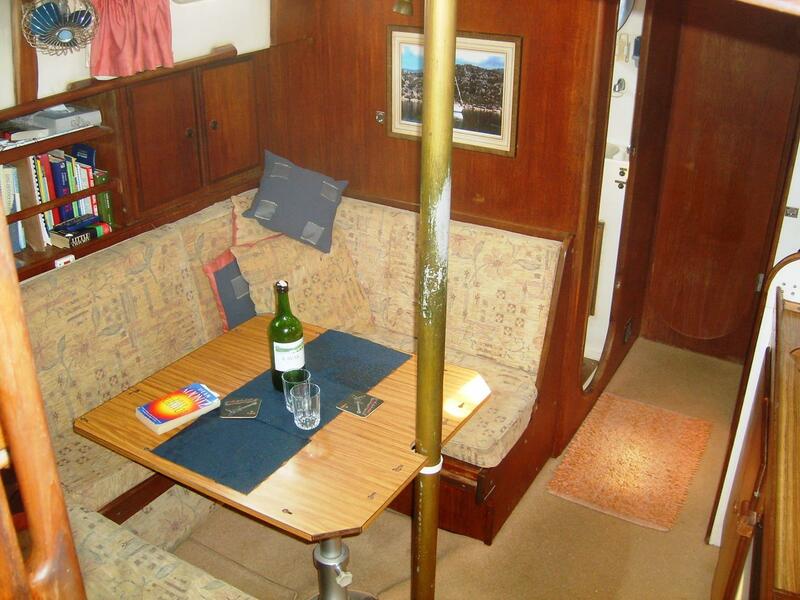 A proven long distance cruising yacht offering good sailing performance or motor-sailing as required. 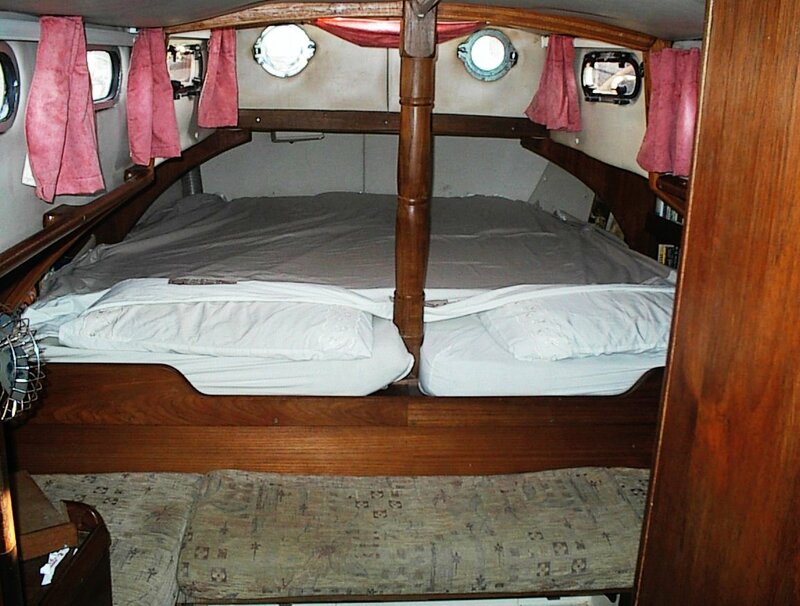 Generous family and friends accommodation ideal for living aboard or extended holidays afloat. Circumnavigation almost completed, expected arrival in UK Summer 2015.